south of Margaret River. There are relics of the property’s former life as an ill-fated tobacco farm in the early 1950s. Luckily faith comes naturally to the couple. For more than 15 years they’ve served as Anglican priests in the region. a lot of neglect while remaining forgiving. Queensland and the UK to help. When Stewart underwent bypass surgery in 2007, the congregation pitched in to harvest the crop. “They helped us immensely,” says Stewart. 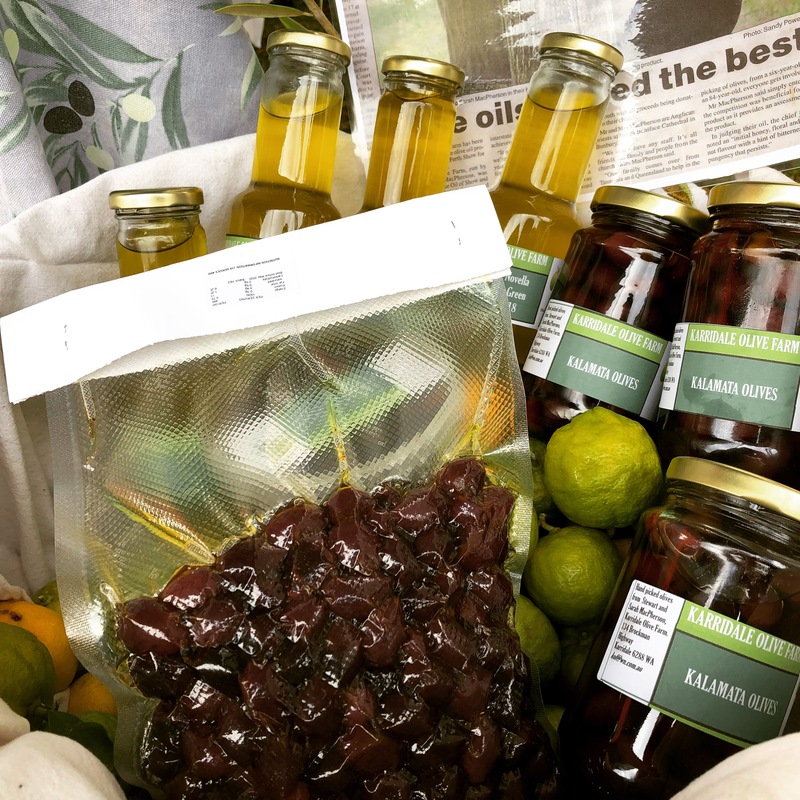 Karridale Olive Farm oil won gold medals as well as the award for Best Boutique Oil of The Perth Royal Show for two years running. The wins were an incredible affirmation of what we’ve been doing. Hamelin Bay and 10km from the Southern Ocean makes it a little bit cooler than Margaret River. There’s also the black sand soils that add flavours of their own. Maybe even the pine trees on the property make a difference. We don’t give the trees a large amount of water or fertiliser. We just give our trees a lot of attention and select our olives and the time of picking very carefully. The yield is really low, but the quality is very high.